Bandai have a Japanese toy maker and have been in the video game business since 1977 with the release of its first pong console, the TV-Jack 1000. Bandai abandoned the home console after the failure of the Super Vision 8000 to concentrate on game publishing. 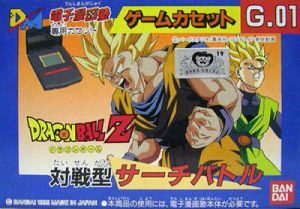 By the early nineties, Bandai decided they wanted back in the video-game console business and released several console in less than 5 year. 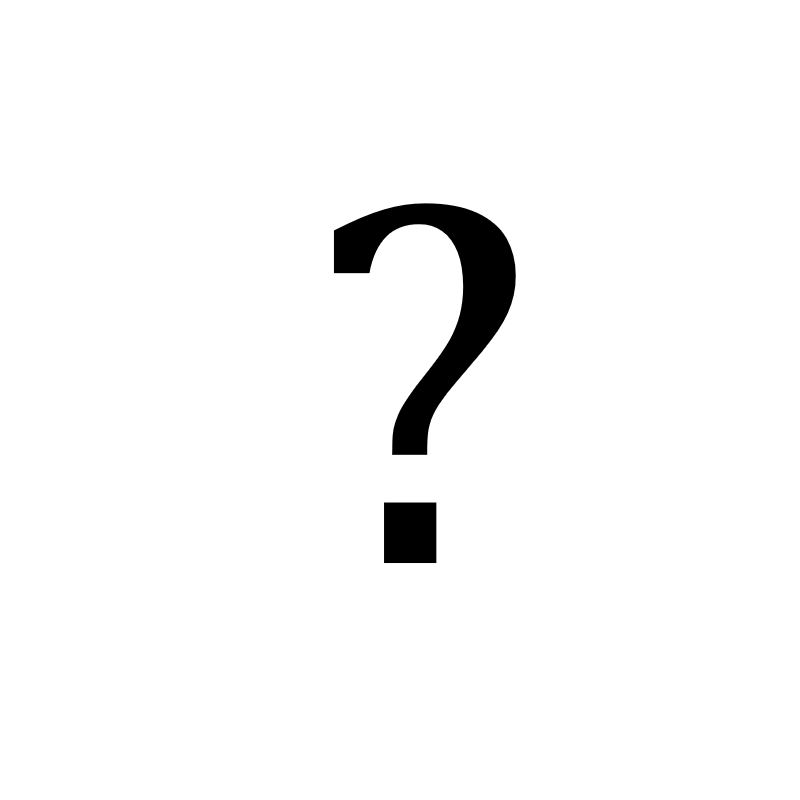 This includes the Playdia in 1994, the Design Master Denshi Mangajuku in 1995, the Apple Bandai Pippin in 1996 and finally the Wonderswan in 1994. 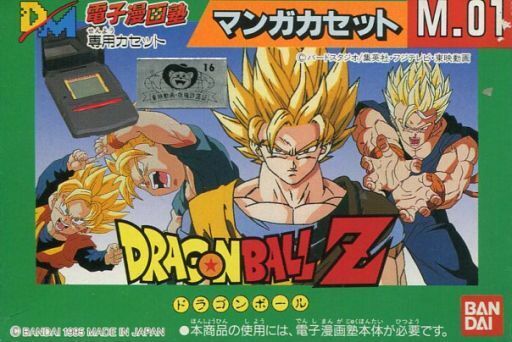 Bandai had acquired a lot of license over the years and they wanted to use them to push their product. 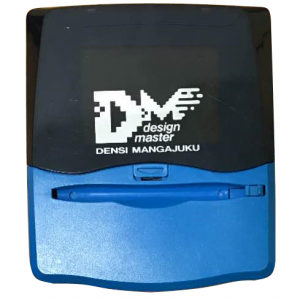 The Design Master Denshi Mangajuku, or simply called Design Master, was released in Japan on March 3rd, 1995 and marketed towards 8 years old and up. 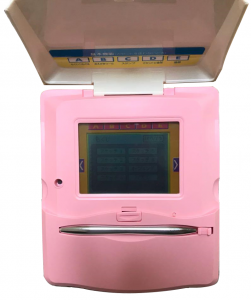 It was the first touch-screen handheld ever made, predating the Philips In2it by 1 year. e saved and/or transfer to your friends via an infrared port. There’s also a feature to create a 9-piece puzzle out of your creation. In its short lifetime, four design cartridges (labelled M.01 to M.04) were also available. Each cartridge contained different pre-rendered sprites that could be used as a starting point for your own design. inside of games. 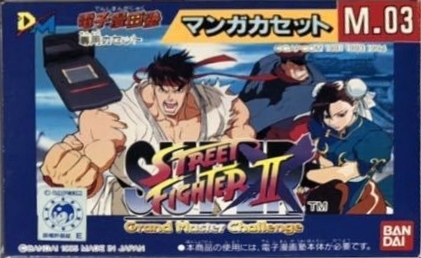 Four games (labelled G.01 to G.04) were released for the system and each of them allowed for the uses of your sprite in it. You can either use your own, or by removing the cap on the game cartridge, you could then connect a design cartridge to use the pre-rendered sprites. This feature makes this handheld truly unique, but sadly, this seems like an afterthought. The lack of buttons on the devices itself, forces the use of the touch screen. As, this is 1995 technology, the touchscreen could only detect one contact at the time and therefore was not suitable for a game controller. 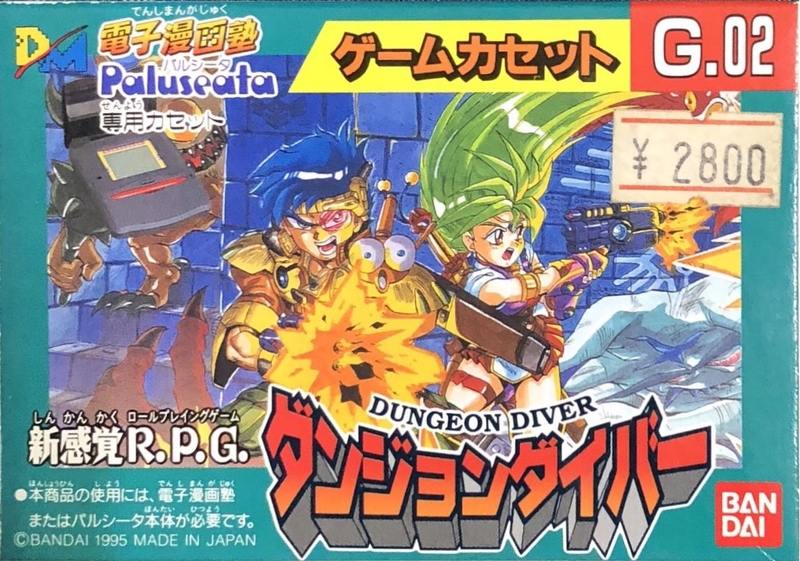 Because of this, all games are a form of RPG with turn-base combat. The product was somewhat successful upon release. 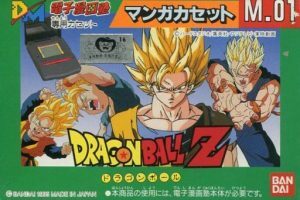 Different contest and marketing campaign were put in place, like this one to get an exclusive Gold version of the console. 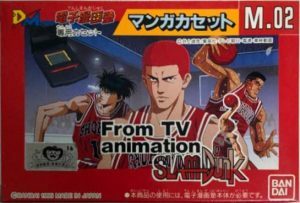 At the beginning, the console was mainly aimed at boys with available design from Dragon Ball Z and from TV Animation Slam Dunk and games such as Dragon Ball Z, The design cartridge were sold at ¥2,000 while the game was at ¥2,800. 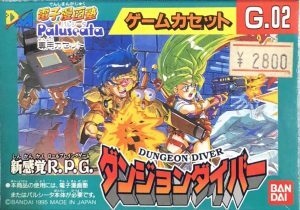 Bandai quickly added a new game (Dungeon Diver). 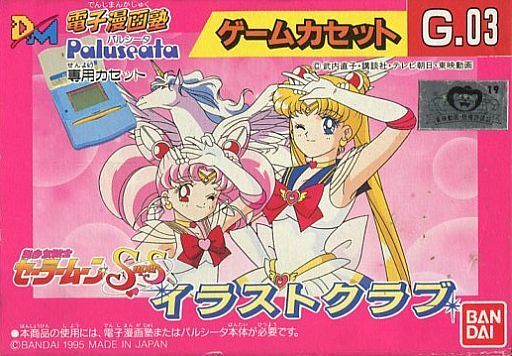 A bit later, wanting to also appeal to girls, Bandai release another version of the console named Paluseata (/ パルシータ) alongside the third game of the series : Sailor Moon. 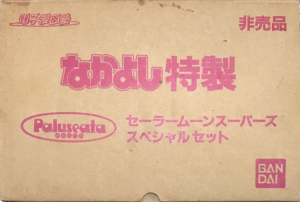 The Paluseata seen little success, but Bandai had one last card to play. 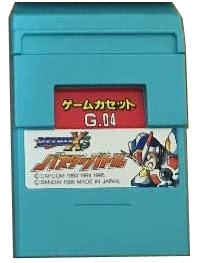 With the release of Rock Man X3 (Mega Man X3) on December 1st, 1995, Bandai taught they could hit and home-run by releasing their own related game. 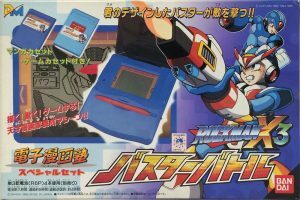 Hoping to boost their sale, Bandai first released Rockman X3 Buster Battle game and design cartridge as a pack-in with a MegaMan X3 special edition of the console. Aside from a very special edition of the console (Sailor Moon: 40th Anniversary), this was the first version of the console that came with pack-in cartridge(s). 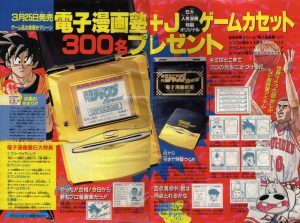 This was an ideal way to entice new players, but the owner of the regular or the Paluseata version were left dry as the Rockman X3 Buster Battle cartridges combo were not sold separately. 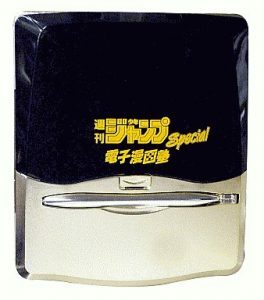 The price was also increase to ¥14,800 for this combo, from ¥9,800 for the standard version. Sadly, the sale MegaMan X3 special edition was not as expected and with no way to purchase the game without the package, the owner of the older version of were forced to look elsewhere for entertainment. 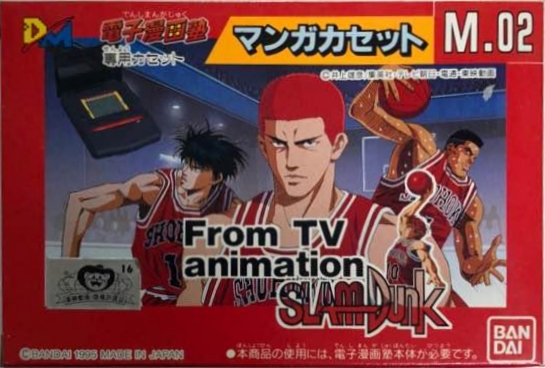 Ultimately, the Design Master Denshi Mangajuku failed to find its target audience. 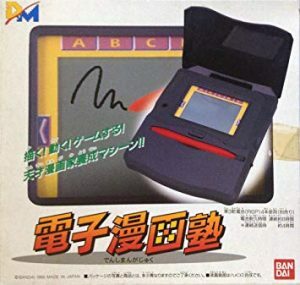 The lack of both design and game cartridges made this product look like a modern version of the Etch A Sketch Animator 2000 released in 1988. 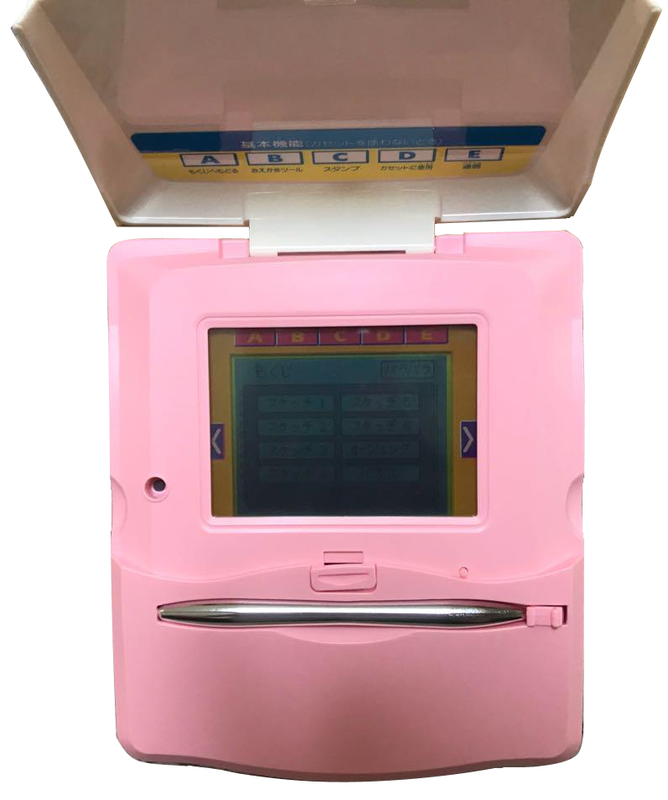 Although it had a unique concept, the lack of buttons on the console, made it for a very limited range of games. 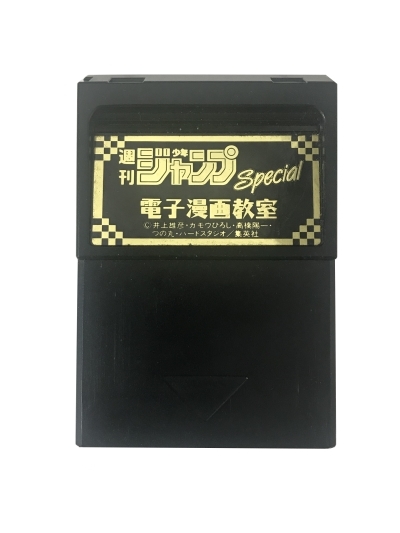 The price of ¥9,800 for the standard version was a bit high considering that GameBoy Pocket released in 1996 was sold for ¥6,800. No new cartridge was released after the release of the MegaMan X3 special edition and the Bandai completely abandon the platform in 1996. Only 4 games were ever released for the console alongside 4 design cartridges. 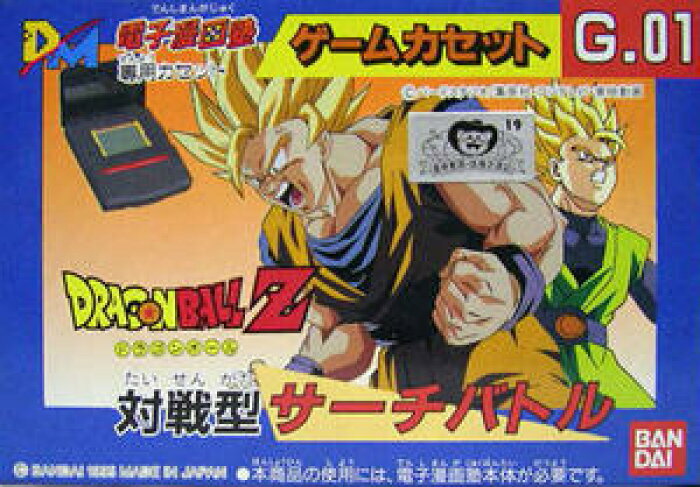 An additional design cartridge was also released as part of a contest by the magazine Weekly Shonen Jump. Only 300 of these cartridges have made. * Both the Design and Games Cartridges for Rockman X3 Buster Battle were only released as part of a bundle with the console. 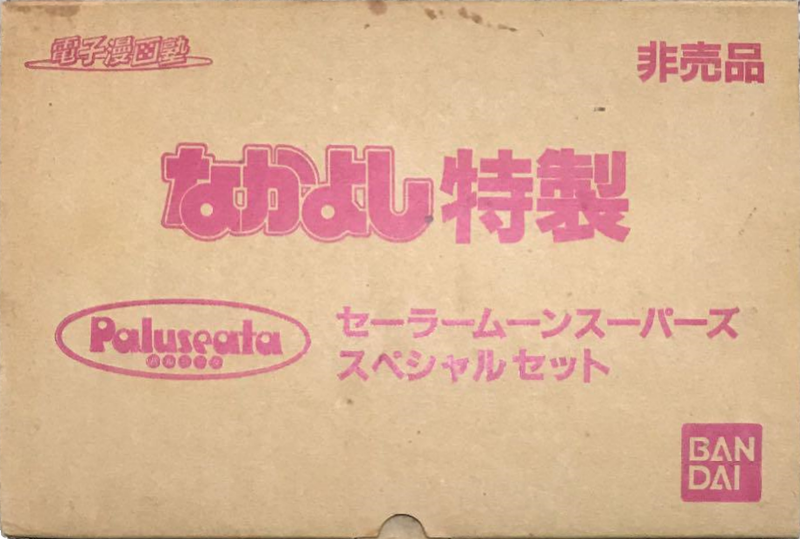 As such, no individual boxes exist for theses cartridges. 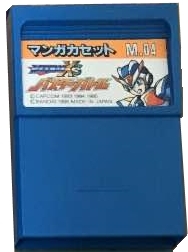 ** Released as part of a contest and as such, no individual boxes exist for this cartridge. The Design Master Denshi Mangajuku had a few editions. In fact, there’s more variation of this console than games for it. 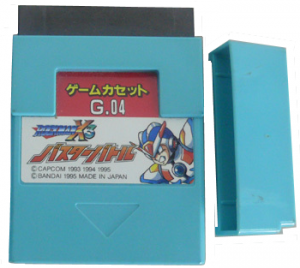 The blue variant was released in a bundled alongside both RockMan cartridges. 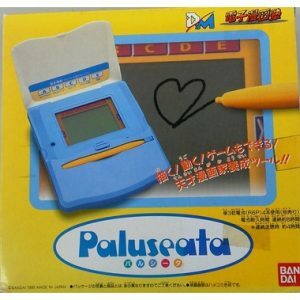 The Paluseata (/ パルシータ) is the same console, but marketed toward girl. *Only 300 of these exist, they were given along side a special cartridge as a contest price in the Weekly Shonen Jump magazine. The console came with a special design cartridge. 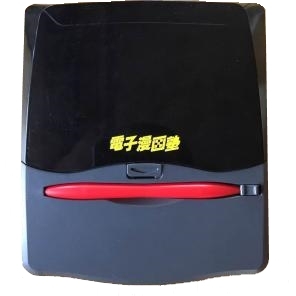 The serial number of the device is also printed on the box flap.